Australian training is provided Chris Mortensen, who is regarded as one of the world’s most experienced practitioners, educators and presenters in the field of feedback-controlled non-invasive neuro-stimulation therapy. Our live seminars and practical workshops are designed to assure that the practitioner is following the correct routine using the physiokey to provide feedback-controlled non-invasive neuro-stimulation therapy and get the best therapeutic outcomes for the patient. NS Health is a recognised and approved training provider for practitioner insurance for physiokey therapy (Key Therapy) with The International Institute of Complementary Therapists. Visit the NS Health website. As well as being provided online via keytraining.online, this is a one day live intensive workshop where you will learn and practice basic techniques and methods of pain relief using the physiokey. 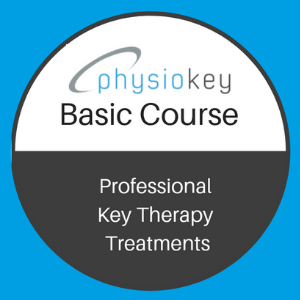 The physiokey basic workshop covers use of the physiokey for the treatment of acute and chronic pain. Attendance at this seminar does not require pre-purchase of a physiokey device. Every participant will have access to a physiokey for the duration of the workshop (depending on numbers). If you already have a physiokey you will need to bring it to the workshop. Catering is included. 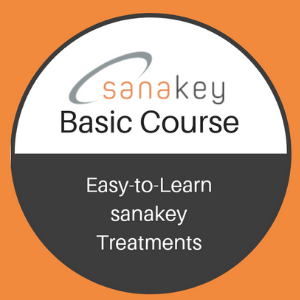 The fee for the physiokey basic workshop is AUD $330.00. Each additional person from your practice can participate in the same workshop for AUD $220.00. Contact us. 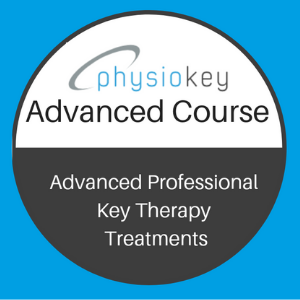 The fee for the physiokey advanced seminar is $330.00. This includes your online training subscription to keytraining.online and the live workshop. Each additional person from your practice can participate in the same workshop for $220. Contact us. This is a one day intensive seminar developed by master trainer Chris Mortensen as a result of over 13 years experience working with elite Olympic and World champion athletes and sporting teams – helping them to heal and recover quickly to maximise their performance potential. The seminar focus is on integrating physiokey therapy easily into any health practice for the successful management of sports injuries, as well as specific treatment protocols for common sports injuries. Contact us. This is a one day intensive workshop held in conjunction with an online theory component through keytraining.online. Catering is included. The fee for the physiokey women health seminar is $330.00. This includes your online training subscription to keytraining.online and the live workshop. Each additional person from your practice can participate in the same workshop for $220. Contact us. Discuss cases, ask questions and share experiences with other practitioners! Facilitated by Chris Mortensen, master practitioner and trainer with over 14 years clinical experience with feedback-controlled pain relief therapy and devices. and try the latest pain-relief technology. The Free Practitioner Mentor Day is open to any practitioner interested in pain relief technology, open to any practitioner with any biofeedback pain relief device (Scenar, physiokey, InterX, Enar). See protocol demonstrations and even get treatment yourself! The Free Practitioner Mentor Day is open to all levels of training. Contact us.